'Mizugiwa' means water’s edge in Japanese and describes perfectly Libbie J. Masterson’s elegant photographs of the South of France and Maine. 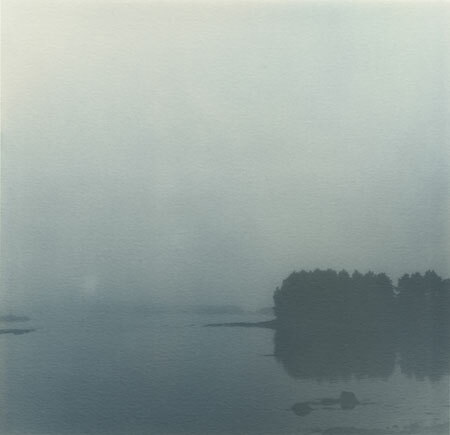 Mizugiwa means water’s edge in Japanese and describes perfectly Libbie J. Masterson’s tranquil, elegant photographs. As always, her subject matter is nature and the environment. In this case, she exhibits poetic photographs taken in the South of France, more specifically, the tree-lined streams and canals of Chenonceau, Camargue, and Cheverny. Interspersed with these are images of the Maine coast and a particularly dark photograph taken in Yosemite Valley. Some are chromogenic prints on Fuji Flex, while others are blue-toned silver-gelatin prints. These light-suffused, or in some cases light-deprived, photographs exude stillness and serenity. Misty, moody, and reflective, they belong in spirit to the Photo-Secession movement, and its underlying camera style of Pictorialism, founded by Alfred Stieglitz and F. Holland Day in the early 20th century. The core group of photographers — Edward Steichen, Clarence H. White, Gertude Käsebier and Alvin Langdon Coburn — believed in manipulation of both image and photographic materials to achieve more artistic effects. Dramatic lighting, monochromatic images, and soft focus are a few characteristics that Masterson emulates, particularly as practiced by Steichen. Masterson spent five weeks in residence at the Dora Maar House in Ménerbes, France in 2009 and has traveled to Norway, Iceland, Alaska, and Antarctica. She returned to France in 2012, and said that if she did not live in Houston, she would pick Norway or the South of France to settle. Masterson is curator at the Houston Center for Photography, designs sets for the Houston ballet, opera, and dance companies, and makes jewelry as well. She recently completed an installation project of floating, illuminated lilies in Hermann Park’s reflection pool in conjunction with JapanFest 2013. Only in her early thirties, Masterson is on quite a roll.